The web is such a large facet in nearly every person's lives. The reach of the web has increased from the simple access by users with computers to persons carrying phones, music players, tablet computers and even handheld video game consoles. This wide expanse of mobile devices which now have access to the web makes several opportunities to use systems of marketing to make money over the web. Almost every high end website has by now created a mobile version of their website which is accessible with even the lower end mobile devices such as pay-as-you-go phones with low memory. This accessibility increases the website's worth by making it available for a majority of internet enabled devices to access it. Alongside this massive growth by websites to the mobile category of accessibility is the growth of online searches. Of course this doesn't mean that the marketers are exactly looking to use the full power of these mobile devices for mobile marketing, in fact it is quite the opposite. The higher processing power of these mobile devices simply makes it possible to display advertisements without massive formatting changes. This ideal environment makes it more efficient to market to mobile devices whereas in the past it was only possible with the high end devices which were not as common up until now. The best way to market to mobile devices is through the most commonly used search company, Google. Google takes advantage of its widespread reach to nearly all devices and has adapted to those of mobile accessibility and stature. Image: AdWords keyword tool configuration for mobile devices. Once this has been completed, the word or phrase selection will be placed in the appropriate text field to run a search for suggested keywords to be used with this system. In the following example, we will be using the search term "phone accessories" to find valuable keyword suggestions with the Google AdWords keyword tool. Image: Keyword suggestions made by Google based on the keyword "phone accessories" with the "all mobile devices" setting selected for the "Show ideas and statistics for" drop down menu. keyword/phrase, competition, global monthly searches and local monthly searches. The tool had easily found approximately 100 great keyword combinations to display but we are only seeing about 16% of the results. 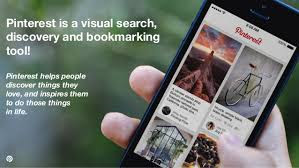 This tool is very useful for collecting information about high volume search terms as well as the lower competition options which are in some ways the best options available to dominate and market with. As you can see, this tool will be really integral to the marketing process with mobile devices.